Good news, everyone! Especially those who play their favorite Stardew Valley game on PCs. After the game’s creator and lead developer ConcernedApe announced new updates, many players around the world became excited about new multiplayer opportunities. 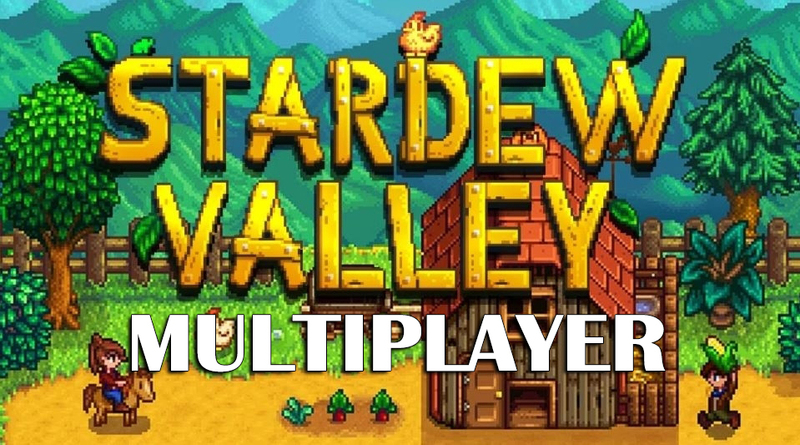 As for now, there is a Stardew Valley multiplayer beta for PC, but those who prefer PS4, Switch, or Xbox One will surely enjoy updates soon as well. One to four players now can play in the same world. The beta version supports both LAN connection and playing over the internet. All players must have their own copies of the game, however, if you play Stardew Valley Steam or GOG, there is a possibility of crossplaying. Let’s say you want your friends to join the world that you’ve created. In this case, you own the save file. You just need to launch the game in a multiplayer mode. If for some reason, you want to continue alone, you can always switch back anytime you want. All players can use Steam to connect, however, ConcernedApe said that the development team plans to provide non-Steam support in the future. In case you’re using GOG, check the sidebar on the left. Click “More,” then click “Settings,” and you’ll see “Beta Channels” setting in the right corner. Switch this setting to “on.” If everything is ok and your version of the game supports betas, you’ll be able to choose “Channel” in the “Updates” drop-down menu. If you want to return to a more stable version, you can do it by using your backup files, because opening save files in the older version may not work. This applies to all the mods that you’ve used with the previous version — if your saves are tied to these mods, they won’t work in v1.3. Now, let’s get to some important details of the new update. If you start playing Stardew Valley online with your friends, keep in mind that split-screen co-op is no longer available. This is why it’s important that all players have their own versions of the game. Co-op is based on a specific building on your farm, which is called a Cabin. You need a place for your guests, so each player invited by you must have his or her own cabin on your farm. Given that, currently, the multiplayer mode supports up to four players, you can have up to three cabins on your farm. If you’re worried about the cost of such a building, we have good news: it’s cheap, just 10 stones and 100 gold. You can either start a new game with pre-built cabins or use your singleplayer save. In the latter case, you’ll need to visit Robin and commission a cabin before opening this save in Stardew multiplayer mode. Once you’ve got everything prepared, click the co-op button on your main screen, and scroll available options on the menu. Just select your friend and click “Invite to game,” choosing either LAN connection or Steam. Your friends will join you by using invite codes. Keep in mind that if you create the game, all saves will be stored on your PC, so other players won’t be able to play when you leave the game. On the other hand, you can play alone after your friends log out. There are some things that you can or cannot share with your friends, and we found out that this thing is very important. You don’t share your inventory, skill levels, and relationships. Since you don’t share your relationships, you don’t need to worry if someone wants to destroy your marriage with, say, Abigail. So, get it clear if you’re going to play with your significant one. You DO share with other players your gold, and farm space. Another important thing that you share with others is your time — the game clock will keep ticking no matter who cannot stop organizing their items or gets stuck in Pierre’s store. When you play Stardew Valley online with others, you suddenly realize how much time you usually spend on such things, without even noticing it. Prepare that the day will end before you do what you planned. Thus, multiplayer mode requires you to prepare for it and perform all your usual actions much quicker. Obviously, you also need to find partners who are experienced enough and who’ll be able to maintain the same fast pace of play. In fact, it’s a completely new experience, especially if you are used to chilling in front of the screen, lazily sorting your inventory. This pace of the game may make you want to take a pause. If anyone in your team asks for a break, only a player who started the game can do it. Open chat window, and write “/pause,” this will freeze the current game. Here is another problem that we didn’t expect. Sometimes you may want to use your friend’s item, but he or she is offline, what a drag. Well, in this case, there is a simple solution — you can just steal this item. Sneak into your friend’s cabin, and check something that resembles a dresser. Items become especially important when you decide to invite other players to a Stardew Valley multiplayer game that you’ve been playing for a long time. All players start from the lowest level, and their inventory is boringly basic. Make sure to share some weapons and clothes that you don’t use anymore to help them enjoy the game. If you think about demolishing your building or just moving it from Robin’s store, forget about it. You must make sure there’s no one inside to avoid conflicts, so get ready that others will hate you for kicking them out. A fun thing is that you can sleep in your friend’s bed, and your friends can sleep with you. Surprisingly, it doesn’t affect your relationships in any way.